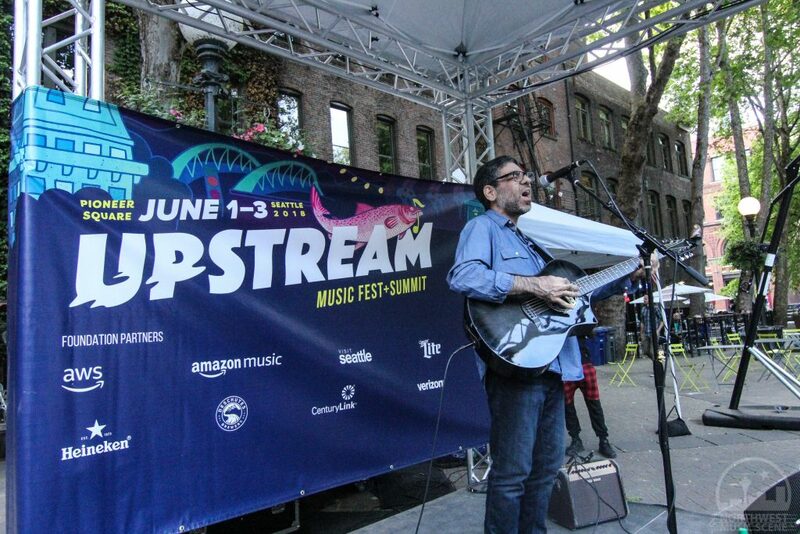 Attendees for the second year of Paul Allen’s ambitious Upstream Music Fest + Summit were once again treated to an eclectic mix of music filling the venues and street corners surrounding Seattle’s historic Pioneer Square. 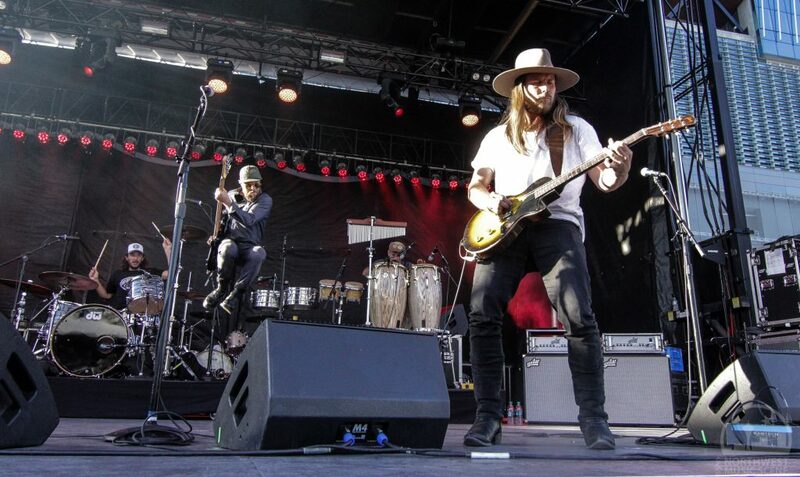 Aside from the 15+ venues and the two main stages that cranked out live set after live set over the three fun-filled days, the streets themselves were full of wandering music fans, wondering who to see next. Not surprising, the two main stages set up for the event, just a stone’s throw from Century Link Field on the north side, were a huge hit all weekend as eager fans strolled in to take in sets from a solid group of headliners that included the much anticipated reunion of Jawbreaker, the bright sounding power punk of Tacocat, the beefed up outlaw country from Lukas Nelson & Promise of the Real and the always mesmerizing lovefest by The Flaming Lips. 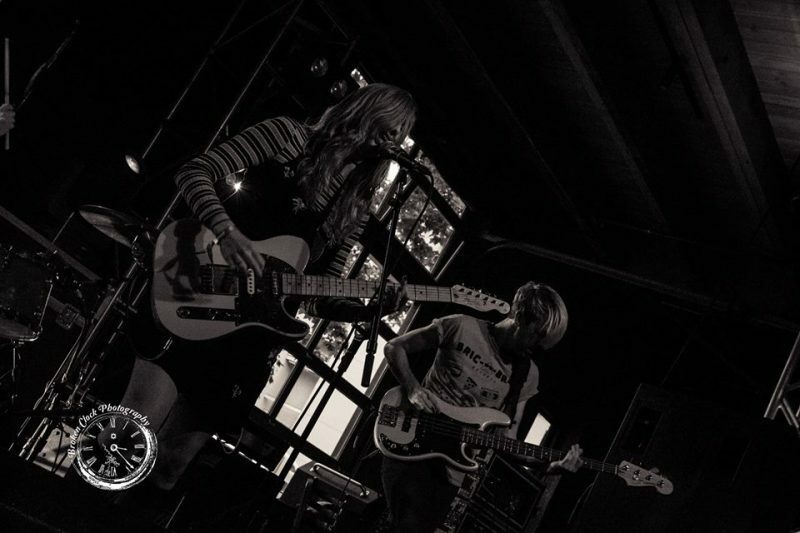 Aside of the ripping sets that were happening on the pair of main stages, venues such as the Central welcomed bands like Sun Blood Stories from Boise who laid down a draw dropping Friday night performance in front of a nice-sized crowd. On Saturday night on that block you could easily catch glimpses of the past and the future with legends such as Krist Novoselic and Jack Endino milling around as they themselves got ready to take the stage. Novoselic played the acoustic guitar with one of his projects, Butterfly Launches From Spar Pole and would play later with Giants In The Trees, while Endino would be getting up on stage with MKB Ultra. 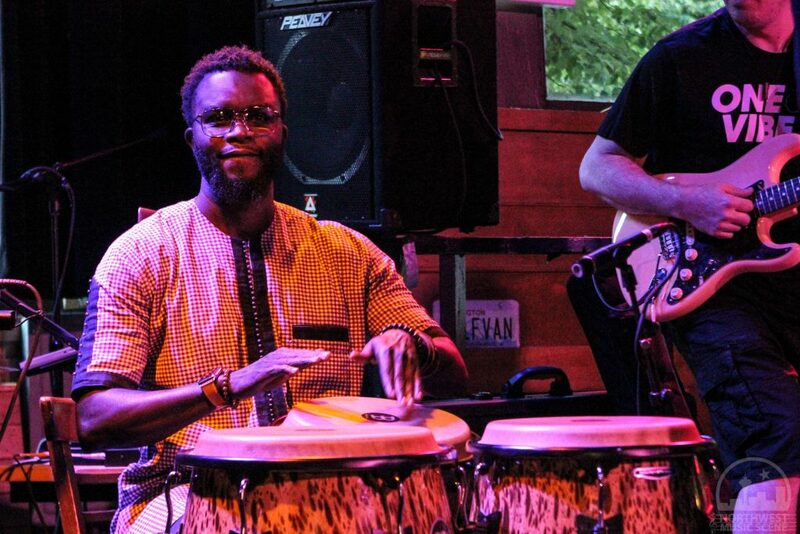 A few doors down also on Saturday night, an organization that does a whole lot of good in both Seattle and Kenya, One Vibe Africa, curated a massive dance party with a lineup that included Nairobi Horns Project, Caleb Cunningham & PLH, Mr. Reed, Amen Viena, Nazizi, Aramide and Samini. Just as there is no singular northwest sound that accurately defines the Northwest, Upstream did another great job of giving the attendees a dose of just about everything imaginable, with a plethora of local acts. Out of the 200+ performers this year, 65% of them call the northwest region home, including a grip of uber-talented buskers performing on most of the streets around Pioneer Square. Many of these street performers could have easily been inside one of the venues or on one of the main stages. Names like Heather Thomas, Tobias the Owl, Marina & the Dreamboats and Champagne Honeybee were among those that showcased their talents on the pavement, with delicious sounds that oftentimes got the pedestrians to stop in their tracks and check out the music. Festival life day three. We’re standing at the Sound Lot at 6:30 p.m. and through the cobwebs and underslept Ibuprofen fueled haze hear a familiar “Good Morning” from another festival friend. Time has not a lot of relevance when you’re three days, and who knows how many bands, in. It’s only important in the context of “who’s next, do we want to check em’ out, and can we get there in time?” Trying to hit each stage and maximize the experience is where it is at! 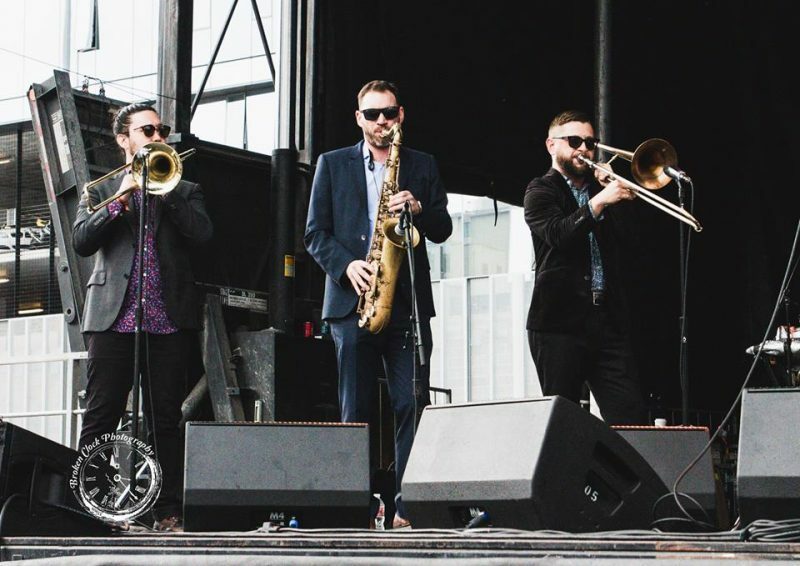 Sunday started out with a full dose of the FUNK from The True Loves, and as always Jimmy James and the crew were tight as hell and all smiles on stage. From the boys with the brass, to Bryant Moore on bass, and of course James on lead guitar. It was exactly the kind of alarm clock we’d like to make traditional! Time was spent between sets shooting the crowd, exploring the murals and their progression over the days as we prepared for the voice of Valerie June. She said herself about her own music, “What is it, is it country, is it soul?” And while even she isn’t sure, it was well played and intriguing, not to mention stylish and most importantly, full of love. Her look alone let the crowd know that we were among an original. Encouraging us to shine our brightest light and commanding the weather with song, Valerie June was another really great set. During a refuel at the Elysian venue, we caught the sound check for Ramonda Hammar and it was enough of a teaser to know that day three was on a good pace and the performer’s energy was all in. However, that blip of a soundcheck couldn’t have prepared us for the set that exploded through that venue! Dealing a grunge-fueled rock out of L.A. this crew has been together for four years and rocked so hard they blew the bass player’s equipment on the last song. Sound issue aside, this set ended with energized chants of “one more song” and no one was ready to go. After the set, the attendees gravitated towards the merch, snapping up the available tee’s and CD’s. “You just made my festival” proclaimed one of the new fans of the band and it was clear that this one was another well received set. The Flaming Lips, Sunday’s headliner and the next stop on this adventure was all about “going big or going home.” Prior to showtime, fans crushed up front in fur costumes and body paint, working their way around a media pit line about a hundred deep. The much anticipated show started with giant balloons, glitter cannons, hamster ball crowd surfing and more! 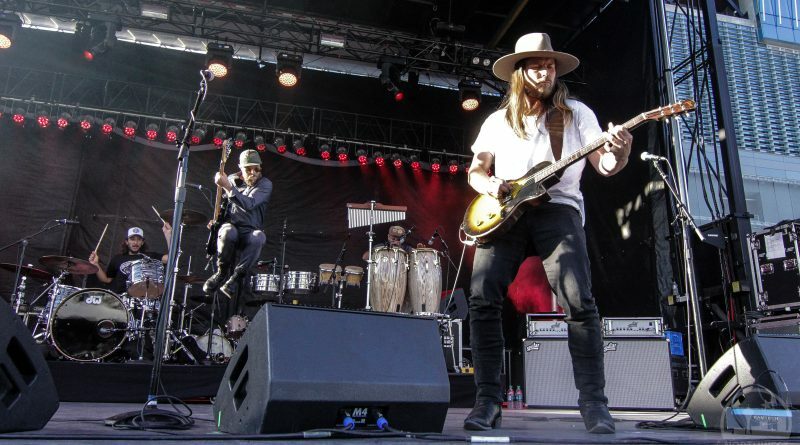 Their sound is all fun and reminiscent of Bowie, Pink Floyd and more. 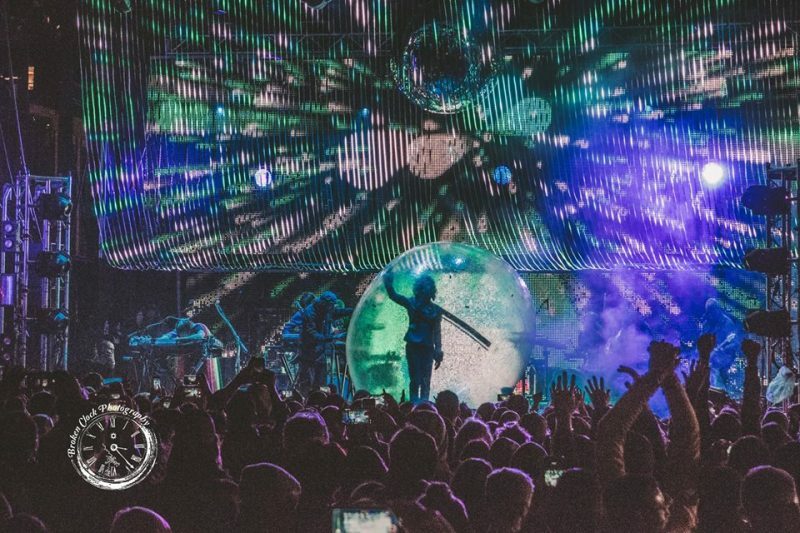 Frontman Wayne Coyne kept the good sized crowd engaged and delivered a perfect musical and visual ending for the main stage. Upstream was inspired by Paul’s love of live music and his belief a thriving arts-and-culture scene is essential for strong, dynamic, and diverse communities. 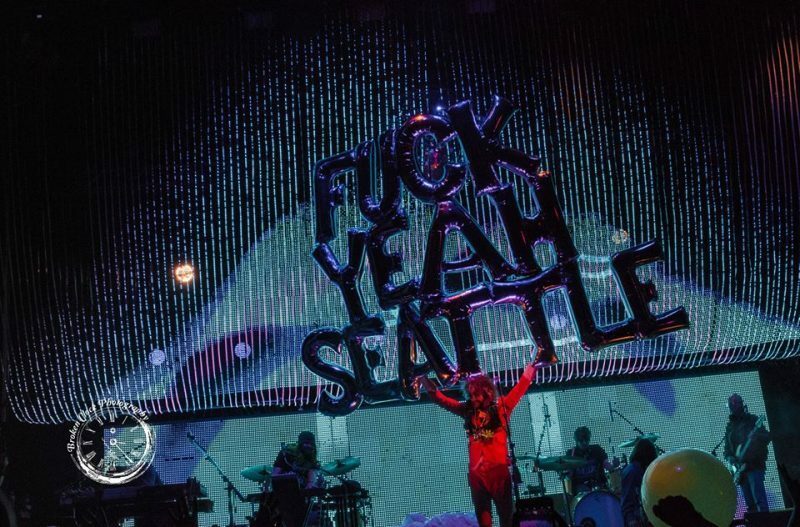 He believed Seattle deserved a fresh take on a music festival, one that provided a platform for emerging artists to reach a bigger audience, and vice versa – for music lovers to discover new artists. 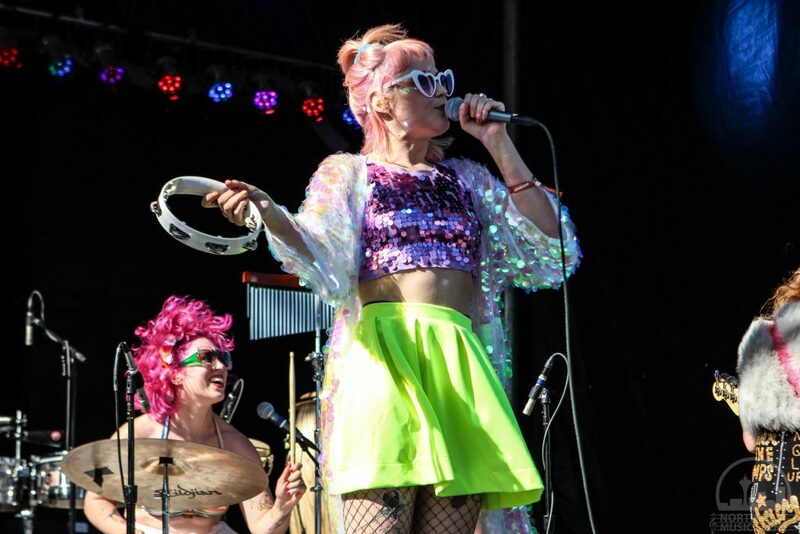 It was once again a festival that had a ton of talent and something for just about every type music fan in Seattle! The venues were clean, food and beverages easily available. VIP access was solid and provided great experiences and views for the price structure. And with 30,000+ attendees in the books for 2018, it would seem that a festival for 2019 is a forgone conclusion, and we already can’t wait! Check out more Upstream photos HERE and HERE.